Everyone needs a little space they can call their own. Maybe you cannot claim an entire room, but having even a small space you can sit, read, relax, or do whatever you enjoy surrounded by a few inspirational or favorite items can really be uplifting, relaxing, and motivating. I have been talking about redesigning a space in my home for a long time now. and began my quest online with La-Z-Boy. Immediately I saw rooms that inspired me. Wouldn't you love to sit right down and enjoy a cup of coffee with a friend here? or relaxing with a good book. A LOT of ideas began to swirl in my mind. How about dreaming of Mom Caves with me for a minute? OPTION 1. A a stunning design room all my own. 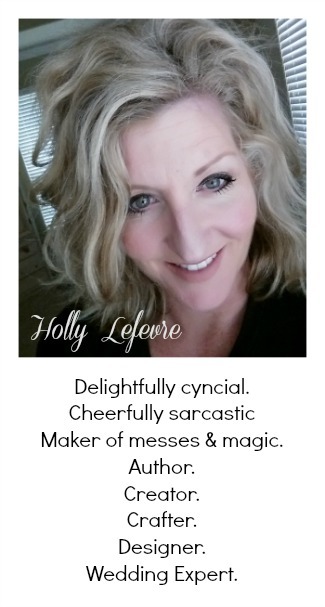 Painted pink with a crystal chandelier, a gorgeous chaise (for relaxing and reading all of those inspirational magazine). Book shelves and cubbies all organized and filled to the brim with wonderful fabrics, paints, and tools. A fabulous idea...but I am a messy crafter and this mom cave could turn into mom dungeon. OPTION 2. A sun room - or better yet a separate enclosed gazebo - with light streaming in where I can spend my afternoons (or mornings) reading and enjoying the nature that surrounds my home. A comfortable, girly couch in a floral pattern, a fantastic chandelier, and filled with books and magazines and sketch books. Well, for the moment I have no sun room or backyard room...so maybe at another house. OPTION 3. A dreamy master bedroom. Full of light with a big fluffy bed, a seating area, and full or mirrors and my favorite things. Definitely a possibility...but I would never want to leave...and then there is the little problem of the laundry piles..
All of these ideas make me swoon. Make me want to turn my Mom Cave aspirations into a reality. One of the things I enjoy most is having guests to my house. We craft, talk, share recipes, stories, or a simple cup of coffee. At this stage of my life, most of my friends have younger children, as do I, so my Mom Cave needs to be central to my home and the play areas. Besides, I kind of like being able to hear everything and be a part of the action. Is is possible to create a Mom Cave that is elegant with a comfortable welcoming feel, that also reflects my eclectic personality? my living room into my Mom Cave. Above is a peek of my current living room. There is nothing is really wrong with it...but it is not really right either. It is the center of my home...central to the kitchen, a hallway away from the family room, and adorned with a large picture window to see them when they play outside. The perfect place to relax or enjoy time entertaining. La-Z-Boy's says to "Live Life Comfortably" and that suits my style to a "T."
La-Z-Boy Furniture Galleries Online Catalog. Why did I chose La-Z-Boy? Well, first of all, it is a name that evokes trust and quality. After 85 years the La-Z-Boy brand continues to grow with the times. 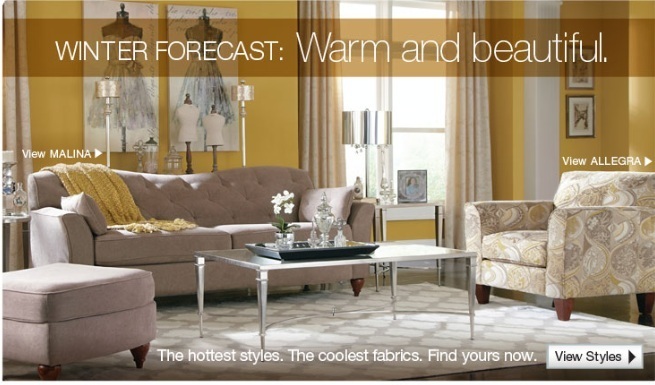 And, seriously...every time I see Brooke Shields in a La-Z-Boy commercial I want that room. 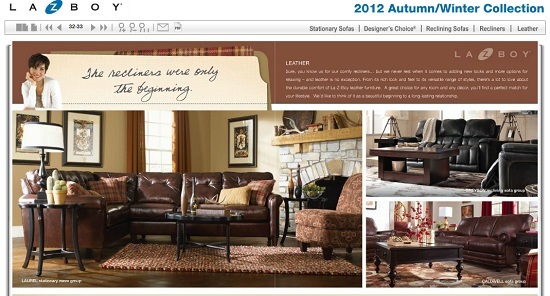 Secondly, La-Z-Boy offers a full range of furniture. 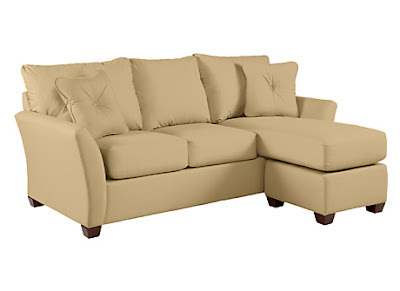 but beyond that La-Z-Boy has sofas, sectionals, love seats and more. The selection of covers - over 900 in fabric and leather - also offers me a range of options to create the perfect furniture setting for my home and style. I did not want to forget one amazing idea or inspiration for my living room. I also pinned some ideas for DIYing that would help pull the look together. Now, let's chat about my VISION for my living room turned Mom Cave. 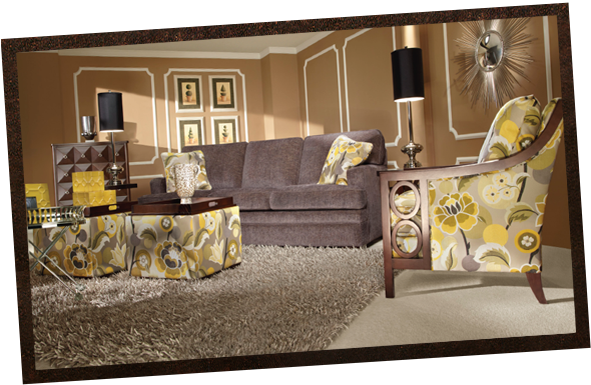 New furniture, both upholstered pieces and hard furnishings, would be the focal point of the room. Specifically I would prefer a grouping of either stationery chairs or recliners surrounding a large round cocktail table. helping me achieve my goal of a personalized entertaining space. 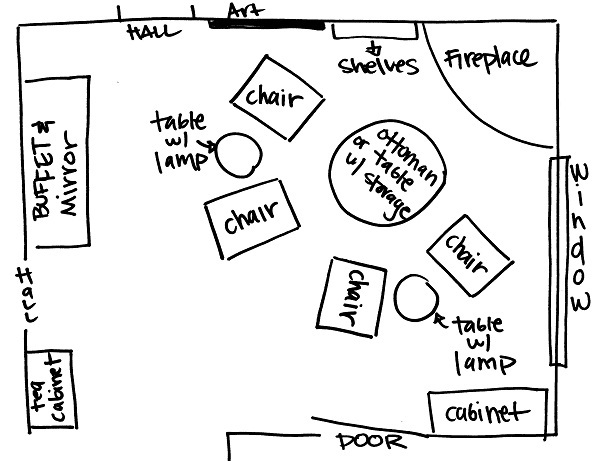 Here is a VERY SIMPLE drawing of a floor plan I created to show how my Mom Cave would come to life...at least in my head and on my Pinterest Board! Not to scale or very professional...but hopefully you get the idea! this type of furniture configuration would be really, well...cool and different! A great sofa or loveseat would also work and make my hubby happy. My current furniture was compromise furniture (hubby and I have very different tastes and it was all we could agree on 10+ years ago). 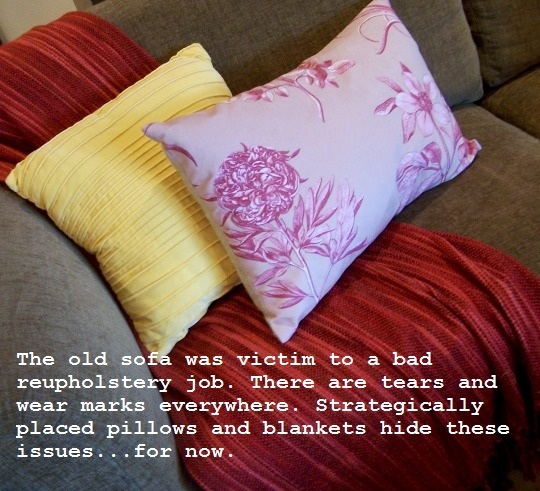 I had the pieces reupholstered and revamped...but that went awry! After four months later, my furniture was delivered to me (I had now moved 400 miles away) in the wrong fabric. My sofa and chair have holes and tears all over due to the quality of the covering. pieces that I would love to purchase to make my Mom Cave a reality. 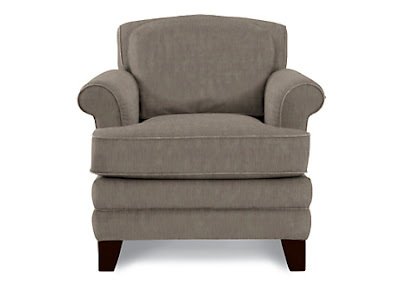 it really depends on the style of chairs (or sofa) and accent pieces I select. 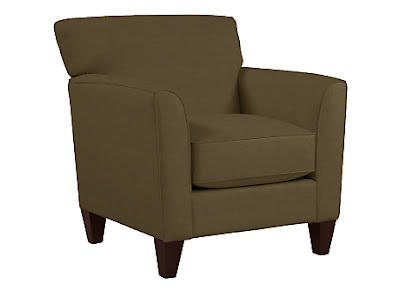 the right chairs is what will make the room and my idea work. 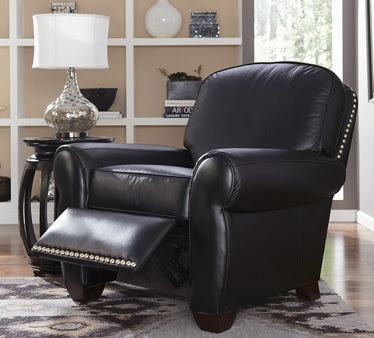 The Emerson Low Profile Recliner is beautiful - maybe if I had 4 recliners, the hubby would understand my idea? I do love my chair idea. 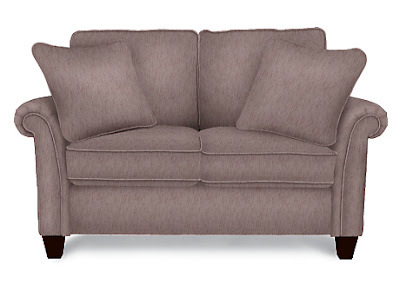 I have been thinking about this for years...but just in case it does not work out in "real life," I also have my eye on these sofas and loveseats. Of course I will need lamps and tables, and some additional artwork. I can just imagine this gorgeous Maxim cocktail table in the center of my chairs! It also has with matching accent tables and plenty of room for my beloved magazines and books! 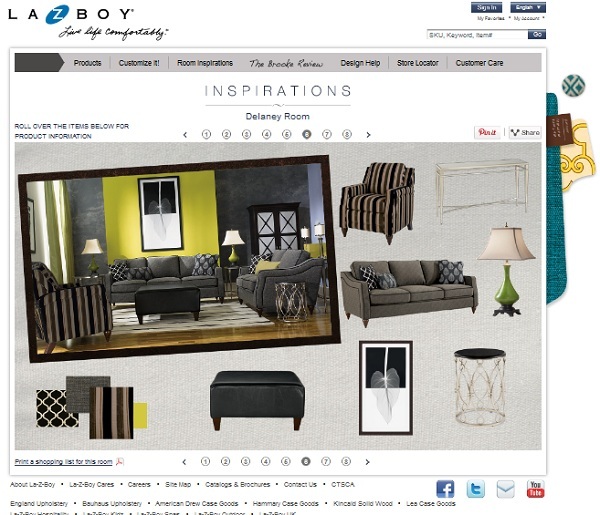 A tool that really helped me get a handle on styling my ideas into a cohesive look is the Room Inspirations on the La-Z-Boy website. Each room is detailed with the furnishings and "hotspots" you can roll over for information on the products. As well, accessories are also highlighted, and you can see how the whole room comes together. 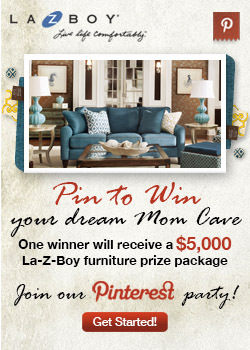 Shopping online at La-Z-Boy was a great starting point for designing my Mom Cave. 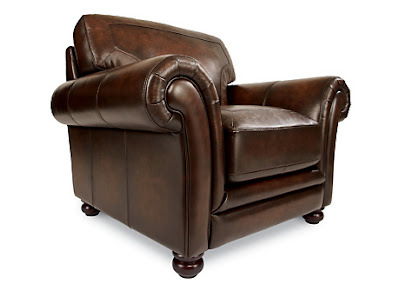 I was able to really examine the different chairs and sofas and recliners, as well as the hard furnishings and accents La-Z-Boy offers. I look forward to a trip to the La-Z-Boy Furniture Gallery where I can see the fabric and cover options in person and maybe even enlist the guidance of professionals with the La-Z-Boy In-Home Design Assistance. To complete the look, I need to work on a few existing items in the living room! The massive brick fireplace needs a makeover. I am thinking some white chalk paint should do the trick! The fireplace also needs a mantel or some sort of decor...maybe hanging lanterns and a stunning centerpiece. A big area rug...bye bye tiny cheap area rug! I won't even show you a photo! 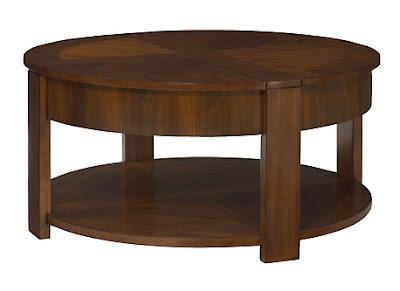 A large round coffee table, or perhaps an ottoman with room for our coffee cups and snacks as well as some shelving to store my vintage collections would make me oh so happy! I am getting excited thinking of what this room could be...what I dream for it...what I think it should have been all along! Now, here is a contest for you! See the details below and Pin away to win a $5,000 La-Z-Boy Prize Package! GET THE DETAILS BY CLICKING HERE! Do you have dreams for a Mom Cave? I love it! Great choices! 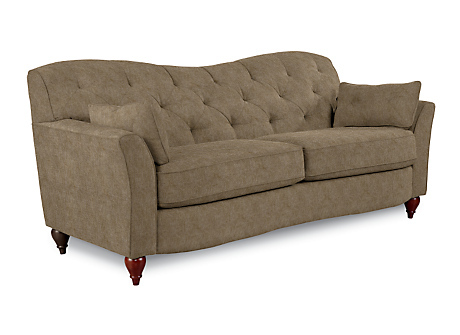 The Malina Sofa is so nice! How fun! I love that Eden Sectional. I never realized La-Z-Boy had so many great options!! I have 3 mom caves! A sewing space that shares with my dressing room where I like to relax. I also have a little writing space! Your ideas look chic & comfortable! p.s I am blogging with my daughter now (her brilliant idea)! Your ideas are great. I will tell you that I have Lazy Boy furniture in my living room. 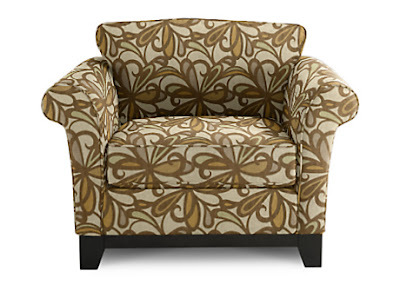 We ordered it to be upholstered in a fabric we chose from a selection at the showroom where we purchased it. I sometimes wish we had had it done in a lighter, more neutral color(it is in something called Seaglass). I can tell you that it is of good, heavy quality, with seats that are substantial and sturdy. The frame and upholstery are in as good a shape as when it was delivered some 9 or 10 years ago. If Lazy Boy has retained its standards and if you choose a good quality fabric, then it will be furniture that can be passed down, if you know what I mean. A mom cave?? I just take over the whole house ;-) ...My living room set is Broyhill and I bought it in 2000 and it still looks brand new. The sturdiest furniture ever and it's been moved 8 time in the past 8 yrs. Too bad it's a very light floral because it will last 20 more years. I thought of reupholstering it but that is very expensive too. You found such lovely pieces from La-Z-Boy! Thank you so much for sharing them. I too have the massive brick fireplace and it does not fit, as is, into my grand plans and I've been looking for inspiration on that front, too!